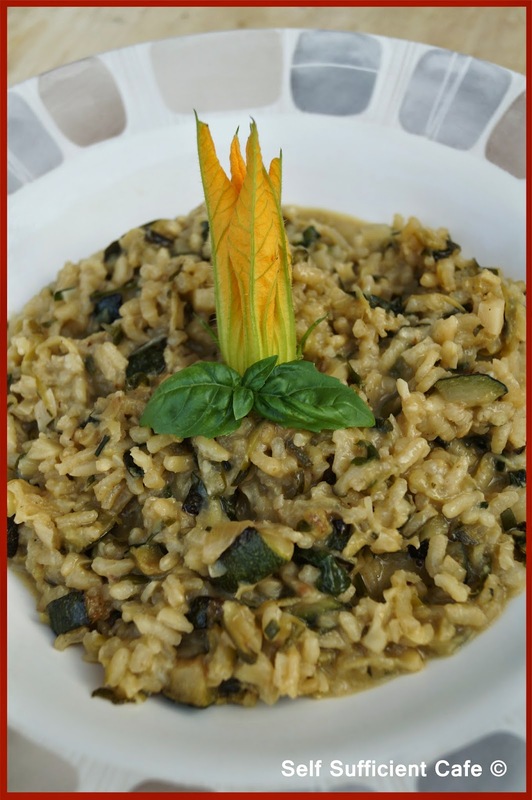 The other day I posted my courgette risotto recipe and I said that my first courgettes of the season would be eaten in a raw dish - well here it is! Once I'd picked them I just wanted to take a bite out of them, like you would with an apple, but I resisted .....until I got to my kitchen! 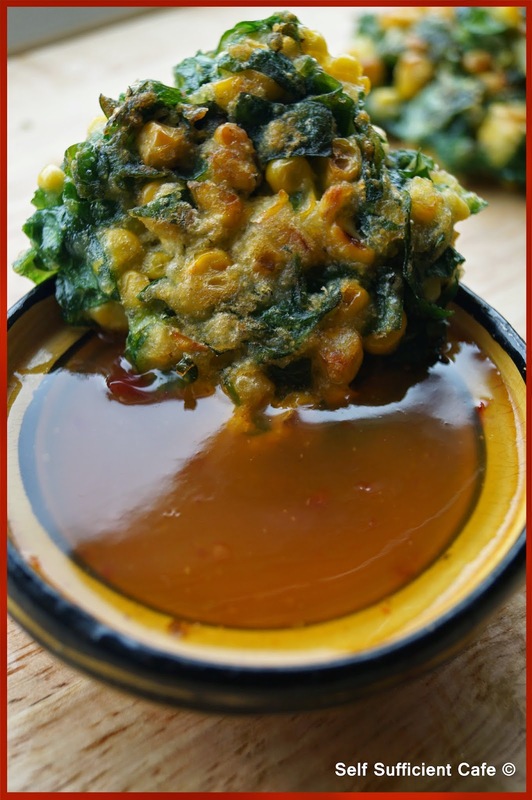 I used an eight ball courgette and a pattypan for this recipe, if you can call it a recipe! 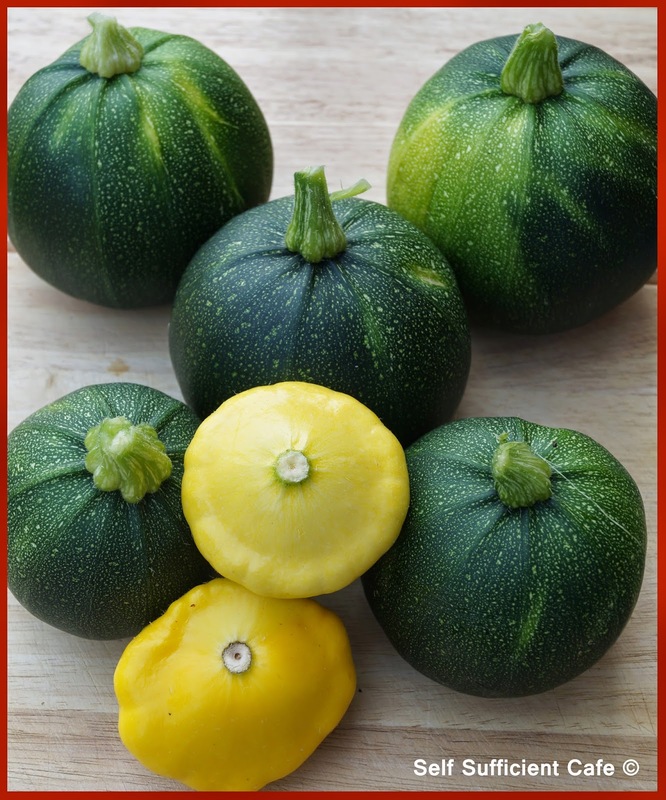 Slice the eight ball courgette and Pattypan thinly and arrange on a plate. 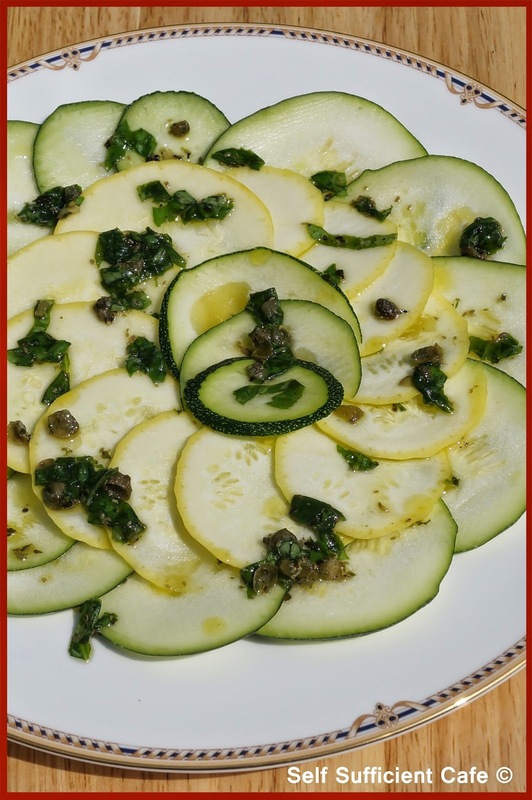 To make the dressing pour the olive oil into a small ball Quarter the capers and place in the bowl. Finely shred the basil leaves and add to the bowl. Give the dressing a quick stir so the oil can be infused with the basil. Add the mint sauce and a good grind of salt and pepper. If you're using the jalapeno, you really don't need much dice finely and add to the bow. Give everything one more stir before pouring over the thinly sliced courgettes. Yay, I've been picking my first courgettes of the season over the last couple of days! I was getting a little worried as we were fast approaching the end of July and I hadn't posted a courgette recipe. 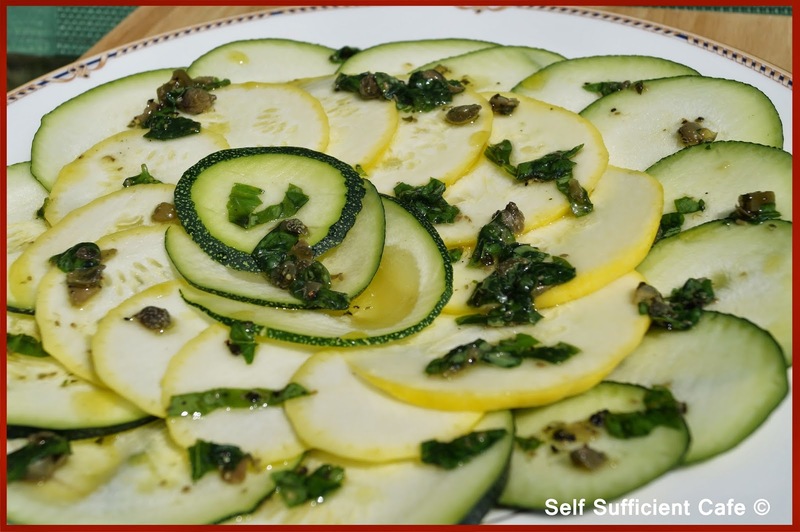 For my first courgette of the season I really wanted to taste and savour the flavour so I decided that my first courgette should be celebrated in style and eaten as a raw dish. 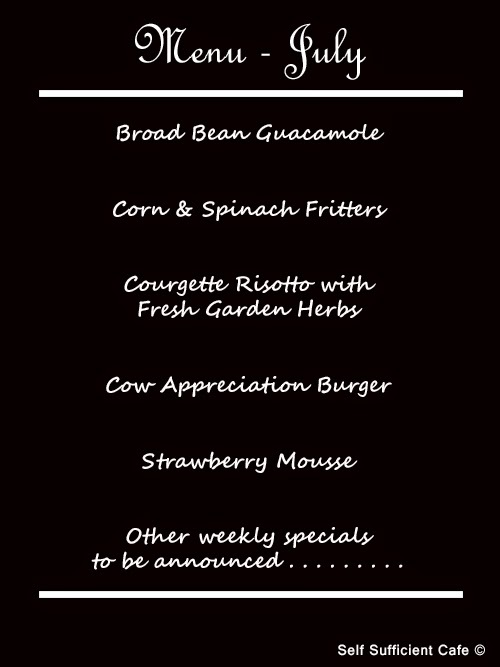 But more of that to follow - watch out for the specials board. Thankfully I managed to pick a few more since, my two 8 Ball courgette plants are growing their round courgettes so fast its amazing to see the start of one grow one morning to go back a couple of days later and find it ready to harvest. Yes, really they grow that quickly! My standard courgette plant seems a little slower but I've had a couple so far, hopefully it will pick up. My beautiful pattypan plants are growing their spaceship shape squashes too, they're just so cute! For my courgette risotto I used the standard shape courgette, if you grow your own don't let them get too big as I think they lose their flavour. Divide the courgettes up so you have 250g of grated courgette and 250g diced courgette. Put the grated courgette to one side. In a frying pan saute the diced courgette in a little olive oil until cooked through and starting to turn a golden brown. Remove from the frying pan and set aside. Saute the onion and garlic in a little olive oil until translucent, about 4-5 minutes. Add the rice and saute for another minute stirring all the time so the rice doesn't stick to the bottom of the pan. Pour in the white wine, the mixture will bubble furiously, keep stirring until the liquid had been soaked up by the rice. Add the grated courgette and stir through then add a little of the stock. Let the mixture soak up the stock before adding anymore. Continue adding the stock slowly and waiting till it has been absorbed before you add another ladle or two. 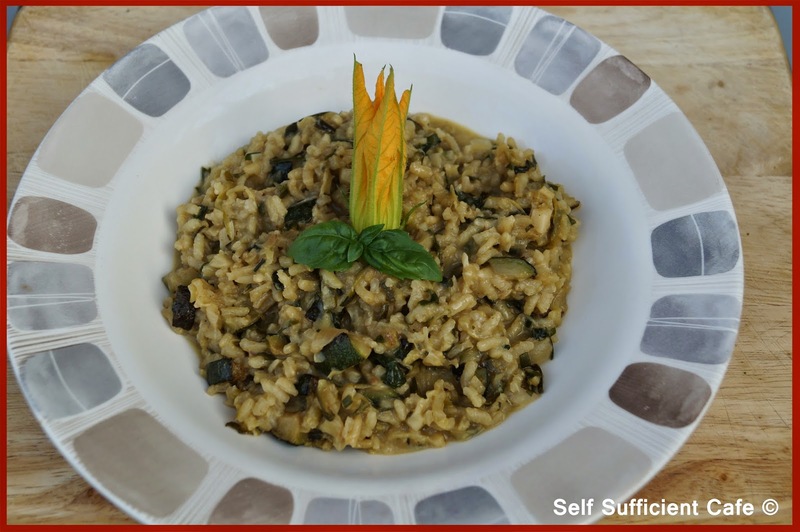 Once all the stock has been used and the rice is cooked around 15 minutes add the diced courgette back to the pan along with the nutritional yeast. Remove the leaves from the oregano stalks and chop with the chives and parsley and add to the pan stir to combine. Add the vitalite and carefully beat into the mixture to give the risotto a glossy shine. Shred the basil leaves and add to the pan and stir so everything is combined thoroughly. Serve straight away. 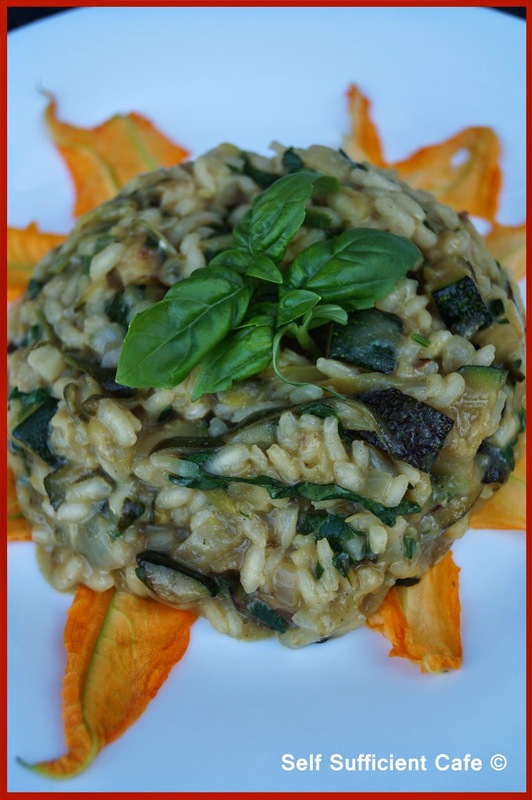 The risotto will keep if you have any left over, but you may need to add a little stock to 'loosen' the risotto. 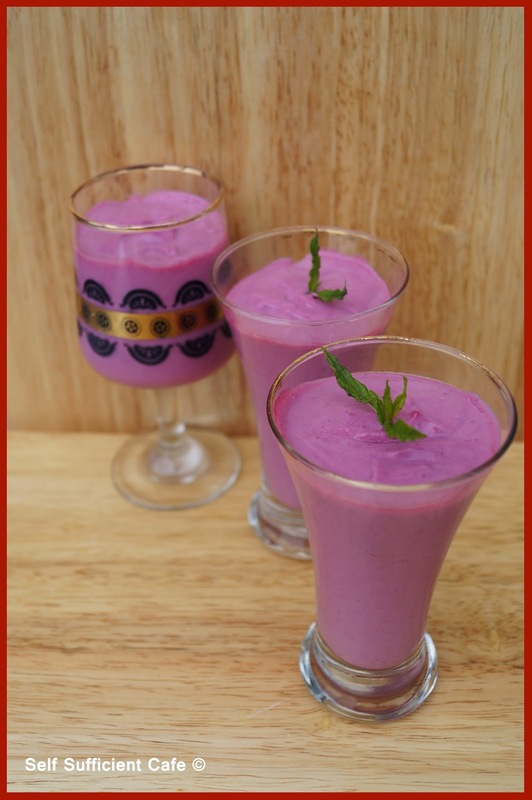 Yesterday I posted my recipe for raspberry cake and I did say that you would have some raspberry puree left over to make these - Raspberry & Coconut Mousse. 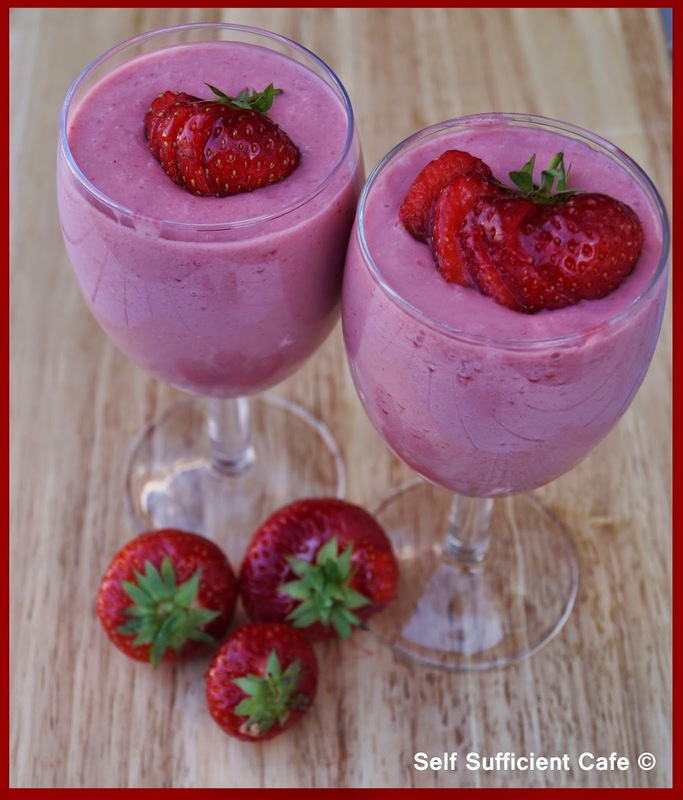 I've used a completely different method to make a mousse here than I did with my strawberry mousse or chocolate mousse. Instead of using coconut cream or avocado I used silken tofu. All three methods provide a silky smooth mousse, who needs eggs? *Left over from the raspberry puree I made to make my raspberry cake yesterday. ** Left over from the raspberry cake recipe I made yesterday. Add the raspberry puree, maple syrup and silken tofu to a food processor and blend, scraping down the sides until everything is well combined and silky smooth. Add the coconut oil liquid and blend again. Transfer to small glasses, depending on the size the mixture will fill 3-4 small glasses or 2 large glasses like wine glasses. Decorate with sprigs of fresh garden mint or shavings of chocolate. To make a chocolate shaving, turn a block of dark chocolate upside down and using a Y vegetable peeler start at the corner and drag across the chocolate. I think this recipe fits the bill for the "Treat Petite" challenge, which is hosted by Kat on the Baking Explorer Blog and Stuart over at Cakeboi. Kat is hosting July's challenge which is the theme "Summer". You can't get anymore summary than fresh berries! Kat states: "The idea behind Treat Petite is quite simple – it’s any sweet treat you can think of that’s not a big cake! From cookies to macarons, krispie treats to truffles; we want to see any delicious concoction you conjure up in the kitchen that is individually portioned!! And don’t worry; cupcakes are permitted." EDIT POST: Great news! 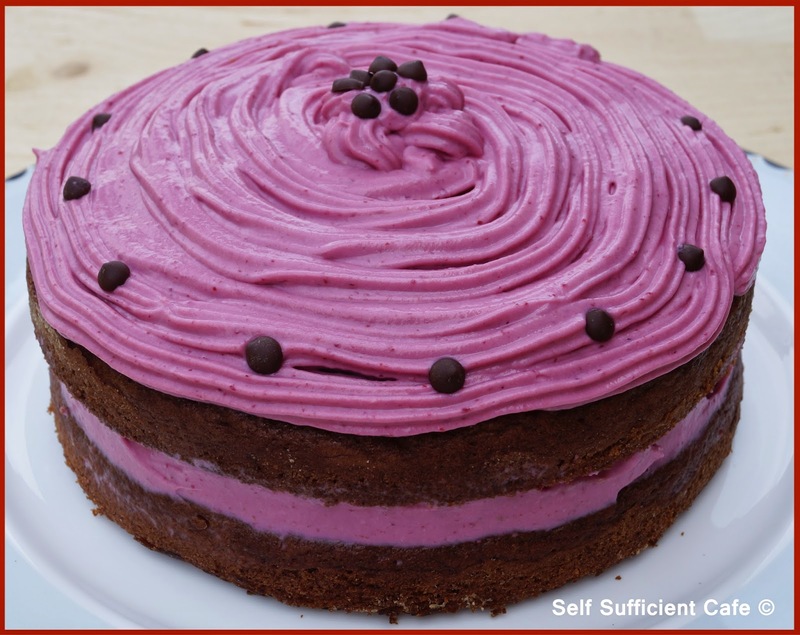 I've been chosen as a finalist for the "Great Vegan Bake Off" with my delicious Raspberry Cake. Please take a moment and vote for me! Thank you! 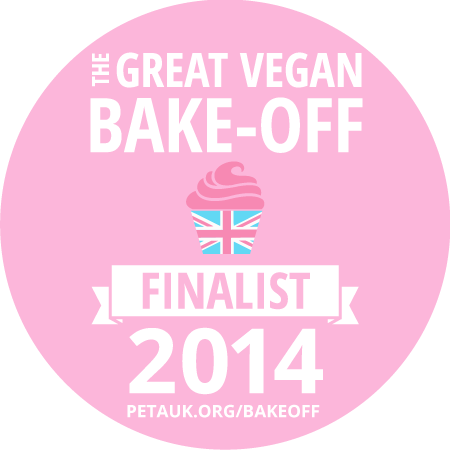 PETA are holding the competition and if you click on the pink finalist badge below it will take you to the voting page. 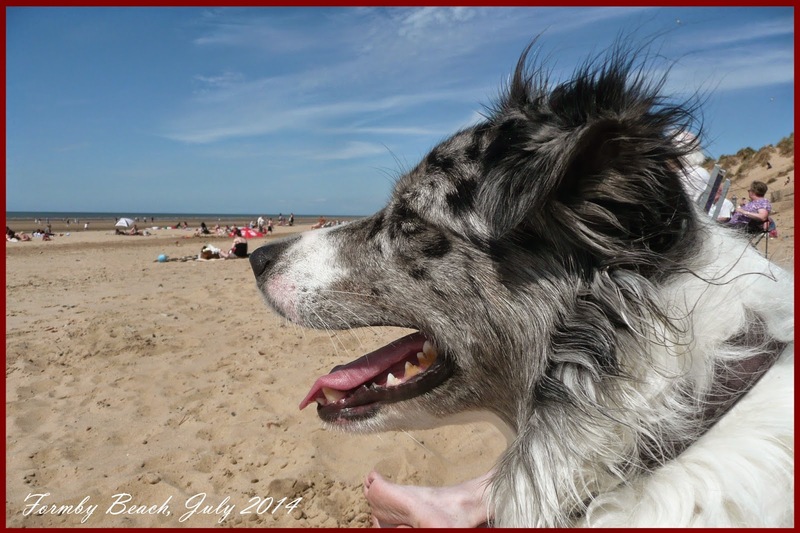 Now, I've shared my good news with you - on with the post! After a visit to my gardening angels allotment the other day I came back armed with a big punnet of raspberries, lovely! Raspberries don't keep all that well especially piled up on top of one another, as the bottom ones get squished. So, I had to come up with a recipe(s) that used them before that happened. I didn't want to go down the jam, compote or smoothie route I wanted something I could enjoy over a couple or more days. So I set to in my kitchen and made a cake! Now, as you know from a previous post I am not the most confident in the baking department but after my chocolate pudding success I thought to myself go on "you can do it!" As I only had one punnet of raspberries I only had the one chance. I didn't want to ruin the beautiful harvest my friend had given to me and there was no way I was going to let this happen. So armed with determination, bravery and dedication I set to in the kitchen. After wandering around looking in my cupboards talking to myself for what seemed an age I came up with this. 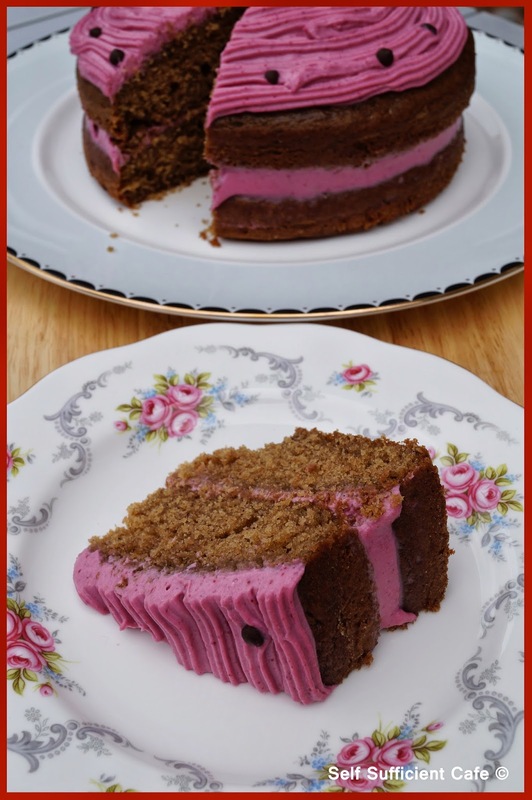 By the way, did you know that today is "Raspberry Cake Day" so why not celebrate by picking up some raspberries and treating yourself to this deliciously moist raspberry cake. Enjoy! Set your oven to a moderate temperature, I can't give you an actual temperature as the numbers on my oven dial have disappeared from too much cleaning! But the position was between 7 and 8 o'clock! Grease two Victorian sandwich tins with a little vitalite on kitchen paper, then sprinkle a little flour over and tap the tin around until the vitalite is coated with the flour. This will prevent sticking. Sift the flour, baking powder and bicarbonate of soda into a large bowl. Add the sugar, I sifted this too so as to remove the big lumps. Remember this was my one and only chance to get this recipe right! You don't need to sift the sugar. Mix the ingredients with a spoon. Now make your raspberry puree. 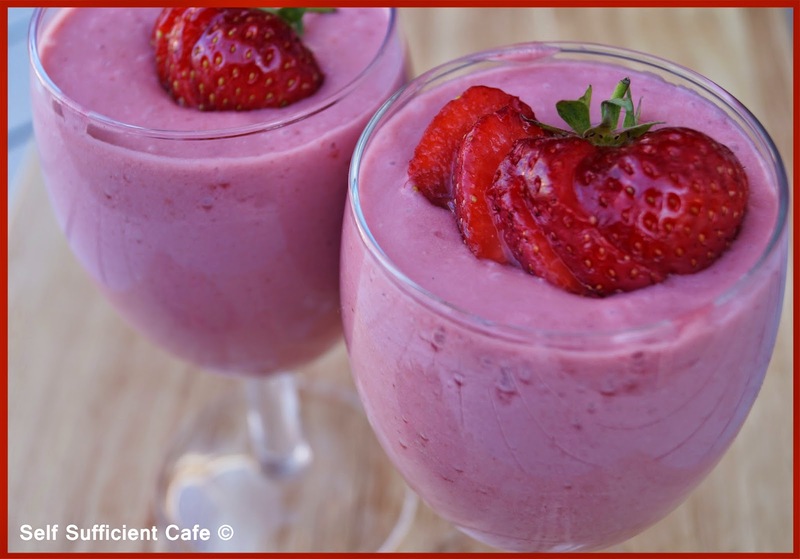 Place the raspberries and maple syrup into your blender and blend to a puree. 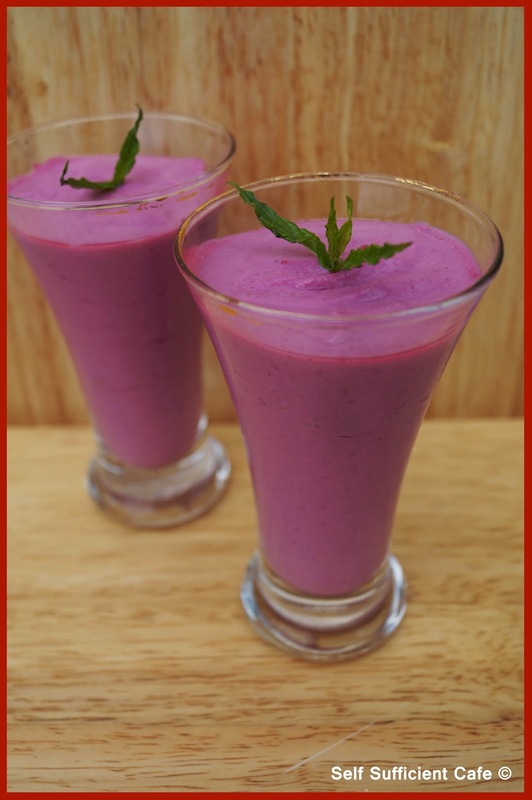 I used my beloved vitamix which pureed in seconds, yep I'm still loving it! Pass the puree through a sieve. 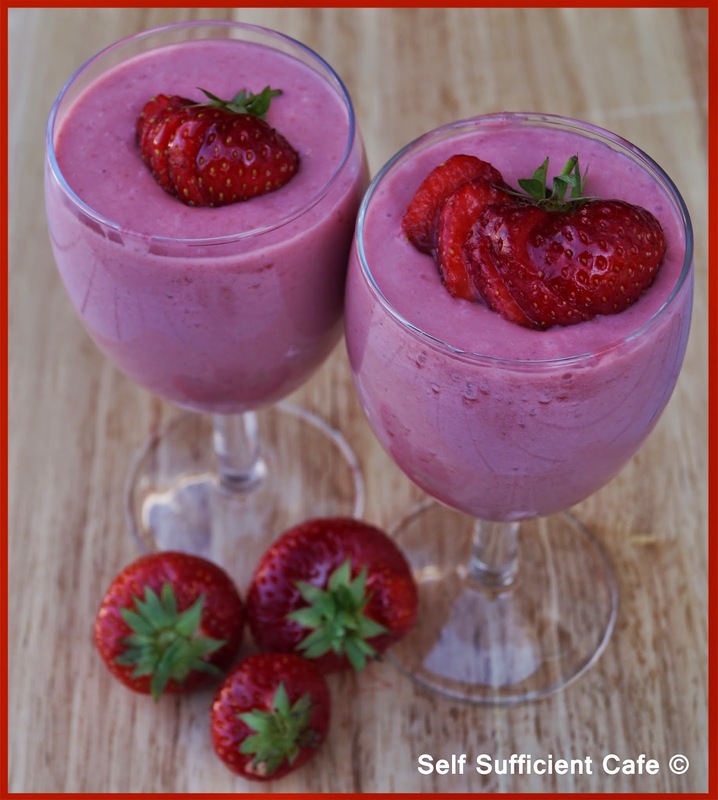 This will make 350ml of raspberry puree, of which you will only need around 200ml for this recipe. 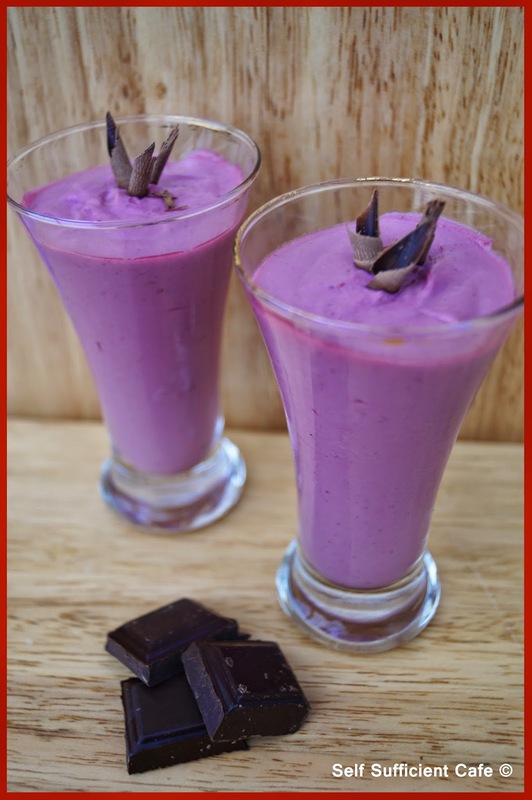 Save the remaining 150ml of raspberry purree and make my raspberry and coconut mousse which I will post tomorrow. In a separate bowl whisk together the olive oil, vanilla paste and soy yoghurt until combined and slowly add 100ml of the raspberry puree, mix until everything is amalgamated. Now add the wet ingredients to the dry and stir in, you will need to work fast here as the mixture will start to go grey! This is because of a chemical reaction between the baking soda and the raspberry puree, but don't worry its fine. Pour the mixture into the two tins and spread the mixture evenly with a little dimple in the middle and bake in a moderate oven for 20 minutes or until a skewer comes out clean. Leave to cool for a little while in the tins before transferring to a rack to cool completely. To make the raspberry frosting, place the tofu and 3 Tbsp of the raspberry puree into your food processor and blend, scraping down the sides as you go, until the two ingredients are fully blended. Melt the vegan white chocolate in a bain marie or microwave whichever is your preferred method and pour into the tofu and raspberry mixture. Blend again, scraping down the sides so that everything is mixed together. You know have a gorgeous white chocolate and raspberry frosting, don't try it as you won't have enough for your cake as you'll keep going back for another dip! 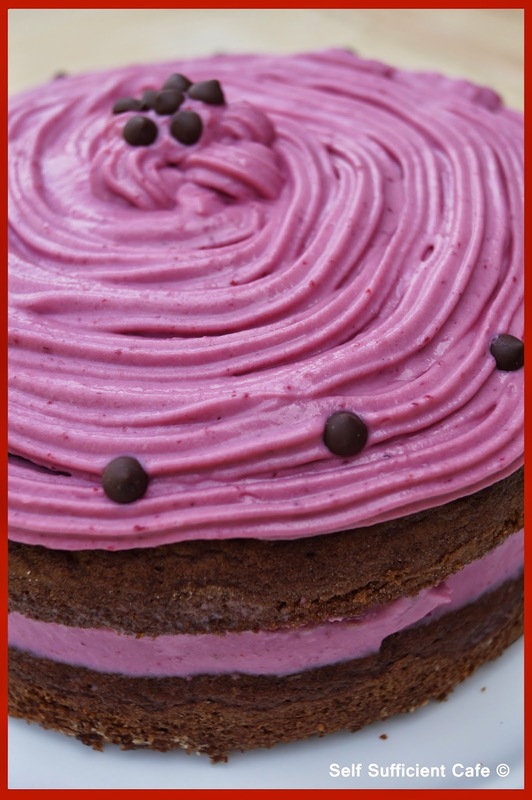 Spread a quarter to a third of the raspberry frosting on one of the raspberry sponges and top with the other sponge. Pipe the remaining frosting on top of the sponge and decorate with dark chocolate pips. Since scouring the internet for other food challenges I came across Alphabakes, which is a challenge that asks for recipes or the main ingredient to the recipe beginning with a different letter each month. "Anything goes as long as the random letter is predominately featured in the recipe as one of the main ingredients or flavours or in the name of the bake itself". July's challenge is recipes beginning with "R", so the recipe above is a perfect fit! Alphabakes is being hosted by Ros from the more than the occasional baker blog and if you want to see the entries for last month and the letter "D" check out Carolines blog - Caroline Makes. 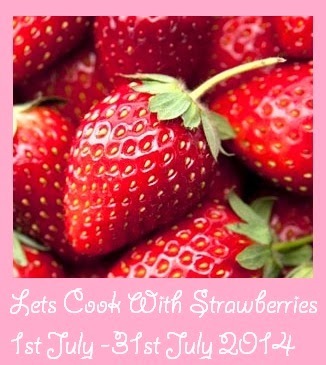 There is a special prize for a recipe entered in July, which will be randomly chosen, so wish me luck! During the summer months I tend not to buy much salad or vegetables as I try and eat what I grow or I am given. After a quick wonder around my small vegetable plot I had picked a large handful of rocket. Usually I would eat this ingredient raw in salads but it is just as tasty cooked. 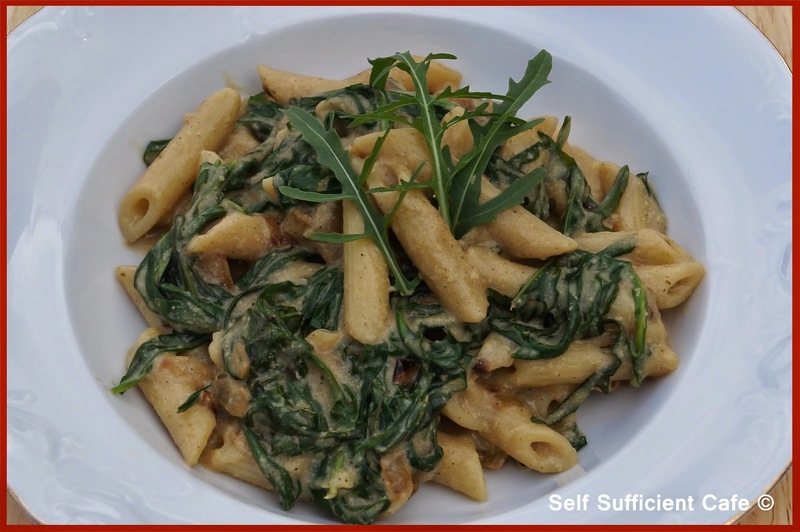 This recipe is so easy and very quick to make, you could hardly call it a recipe! First put the pasta on to cook as per the packet instructions. You'll have just enough time to prepare everything else before the pasta is ready. See I told you it was quick! While the pasta is cooking prepare the sauce. In a small saucepan add the milk, flour and vitalite and slowly bring to a simmer over a low heat, whisking all the time. Once the sauce has reached a simmer and has thickened add the mustard and porcini powder (through a sieve) and stir to combine. Add the nutritional yeast and stir again. Set aside. Saute the onions in the olive oil until starting to turn brown around 3 minutes, then add the garlic and saute for another two minutes. Add the washed rocket to the pan in batches and wait until it has wilted before you add the next batch. Once all the rocket has been added, re-stir the sauce and pour onto the rocket mixture. Drain the pasta, reserving a little of the water and add the pasta to the rocket and sauce. Stir so that the sauce coats the pasta. Add a little of the reserved pasta water if the mixture is too thick. 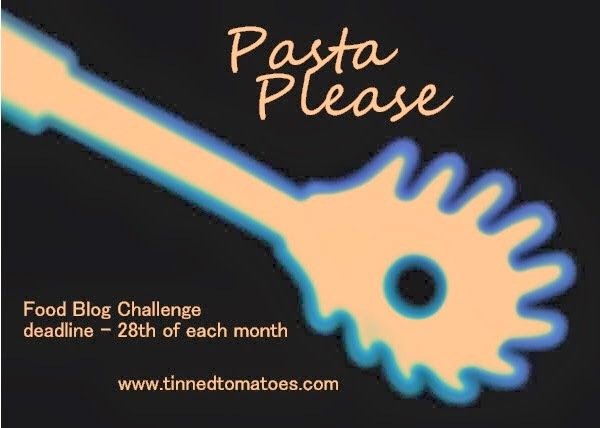 I've entered this recipe into the "Pasta Please" Food Blog Challenge, which is being hosted by Dannii over at the Hungry Healthy Happy Blog on behalf of Jacqueline over at Tinned Tomatoes. 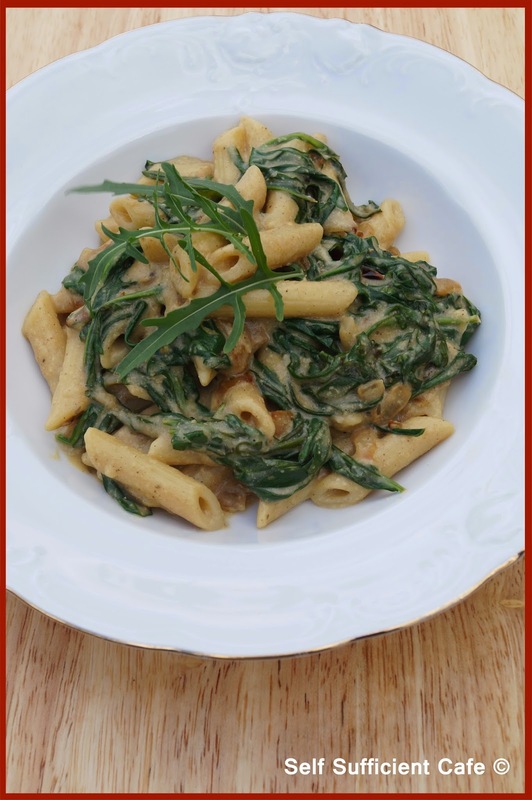 This months Pasta Please is focusing on healthy/lightened up pasta dishes, or any pasta dish that is packed with veggies. The pasta sauce in my recipe is tasty with out loading it with vegan cheese, thanks to the porcini and mustard powders and the nooch! 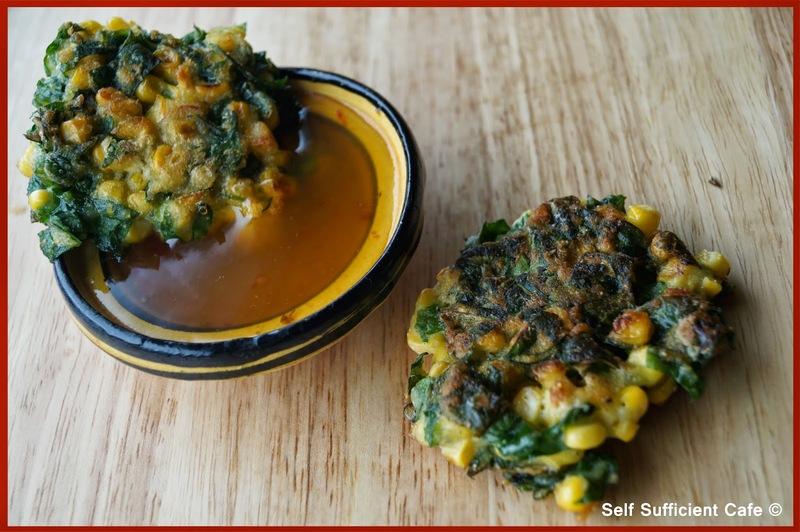 But did you also know that it is "Corn Fritters Day" & "Fresh Spinach Day" so what other recipe could I share with you all but Sweetcorn & Spinach fritters? Add the polenta and mix to combine. Slowly add the water stirring continuously until you have a thick paste. 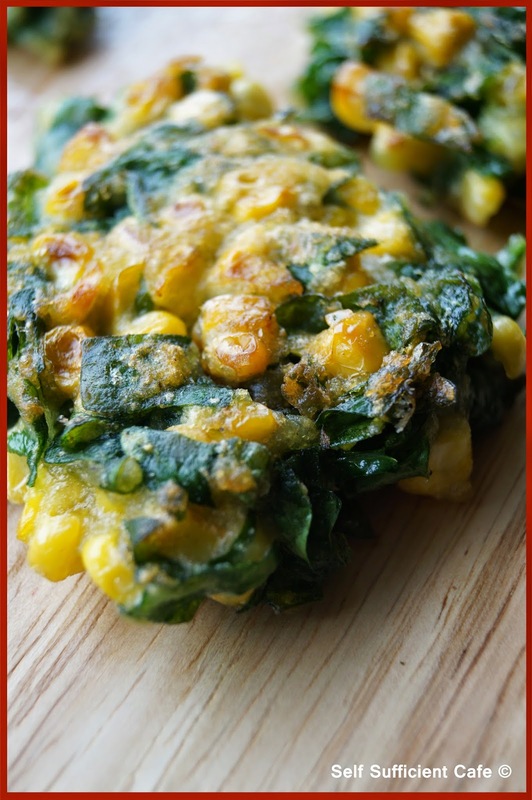 Add the fresh corn kernels and shredded spinach and give everything a really good mix, so the batter coats the vegetables. Heat the oil in a frying pan and once hot add a heaped tablespoon of the batter, fry for 3 minutes then turn over and fry for 2 minutes or until both sides are golden brown. 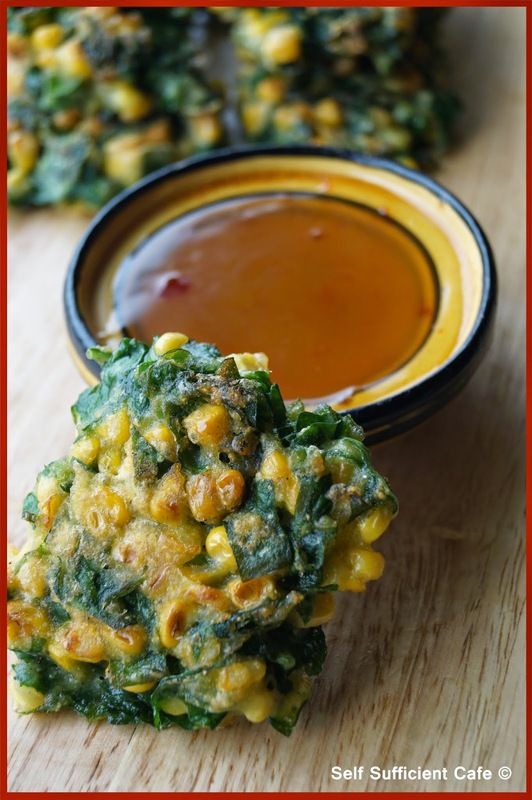 You won't be able to cook all the fritters in one go so you'll need to do them in batches. Once fried, remove the fritters with a slotted spoon and place on kitchen towel to soak up the excess oil. keep warm in a low oven until you have cooked all the fritters. Serve with a dip of your choice, mango & chilli was the dip of my choice! Did you know that on the 11th of this month the world celebrated "Cow Appreciation Day"? Well, I say world, rather I celebrated it, did anyone else? To celebrate I made a batch of my Cow Appreciation Burgers, where no cows were harmed in the making of these versatile burgers. 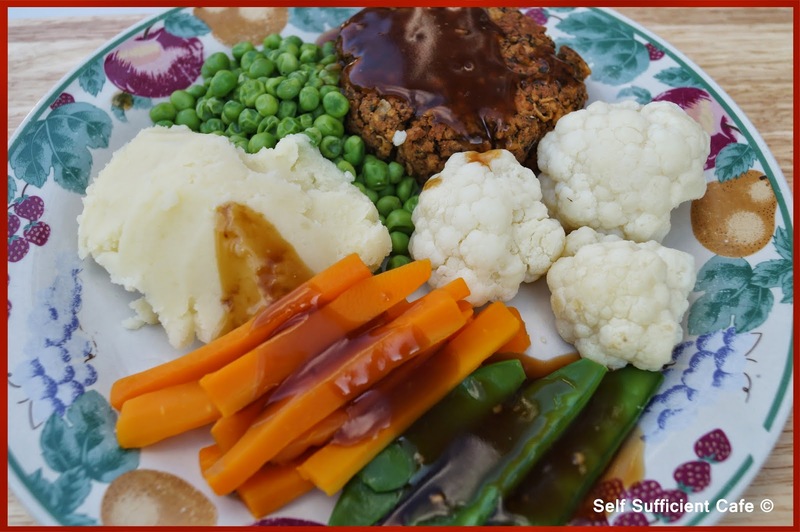 I say versatile as they can be eaten with salad (if you're being exceptionally healthy), more traditionally on a bun, with fries & peas or alongside mash, vegetables and gravy. Once cooked they can also be crumbled and used to make a bolognaise or to stuff a pepper or other vegetable. 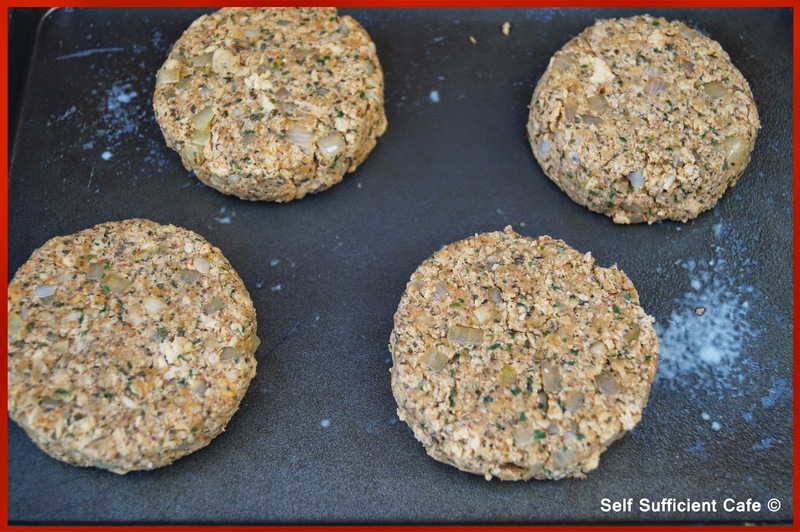 The recipe either makes 4 big fat burgers or 8 thinner burgers depending on how many you are feeding or how you are serving them up. First crumble the tofu into a large bowl and add the herbs and spices. Mix well so everything is combined. Fry the diced onion in the teaspoon of olive oil and add to the tofu mixture. Puree the butterbeans and 1 tablespoon of olive oil in a food processor until smooth and add to the tofu mixture. Mix the ingredients with your hands to ensure everything is thoroughly mixed. Add the breadcrumbs and give everything another 'kneading' with your hands. Shape the mixture with wet hands into the desired number of burgers and place on a lightly oiled baking tray. Bake in a moderate oven for 15-20 minutes turning once. If you wanted to spice the burgers up replace the paprika with smoked paprika, the basil with chilli flakes and add ½ Tsp Chilli powder. 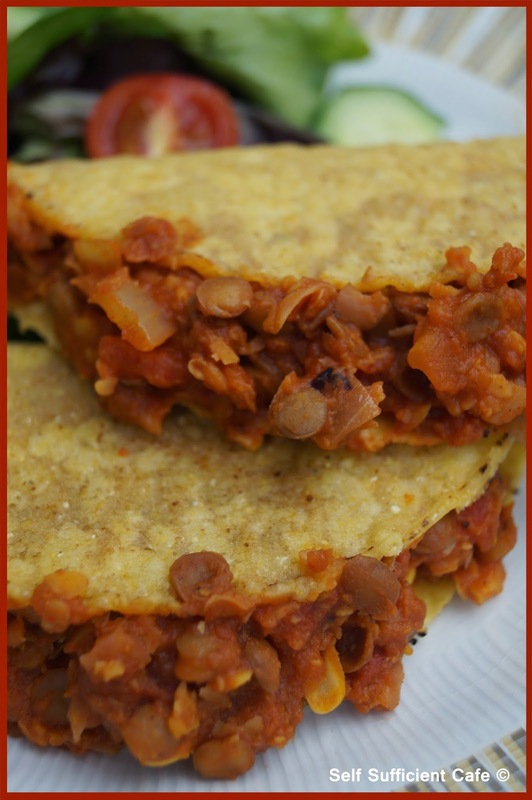 You could even replace the butterbeans with refried beans (you may need to add more breadcrumbs). 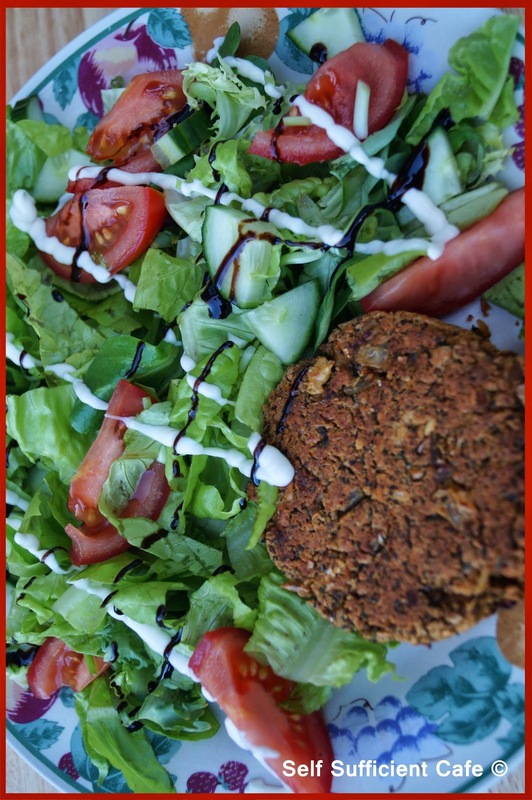 If you fancied a more 'herby' burger replace all the dried herbs with fresh herbs and increase the quantities and remove the ground cumin. 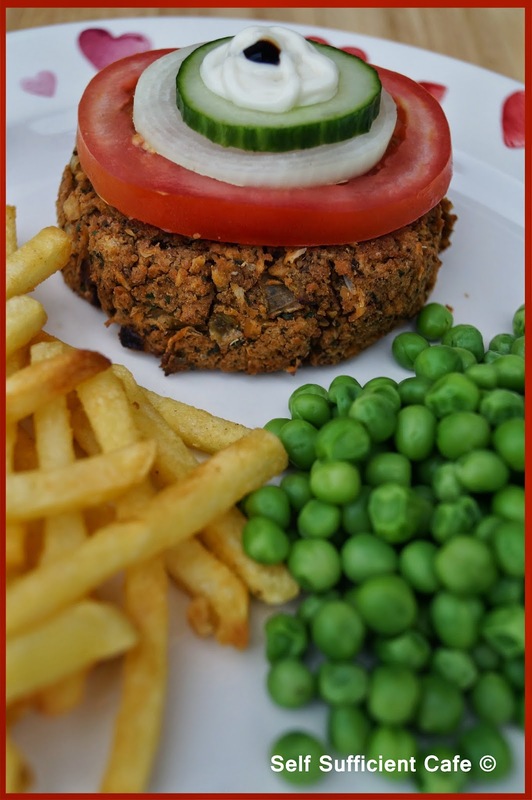 Using the basics of this recipe the flavour of the burger can be changed in so many different ways; an Indian spice mix, Chinese spice mix or more Italian flavourings by adding chopped olives and sundried tomatoes. Give them a try and get creative in the kitchen. Recently Miro, from the VeganWALL team got in touch with me and told me about a project the team are working on which will be released in September 2014. I was curious, so I looked into it, and before I knew it I had subscribed to the Beta Program, once completed it will be a fantastic website for all things vegan. The project aims to connect all vegans, in order to promote the vegan lifestyle. As you can imagine this is a huge project and one which the team have already been working on for 4 months. 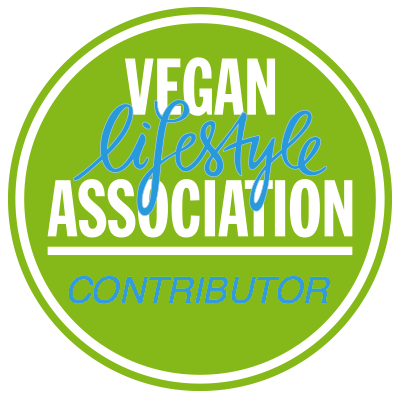 Their goal is "to create the biggest vegan community and to connect to all the vegans with the purpose of creating something new and useful that could help the most of us". The idea is to have a website where vegans from all over the world can share information and opinions of all things vegan. So whenever you find something vegan that you think others would be interested in, whether it is a recipe from this blog (cheeky) or a vegan hotel, restaurant or cafe or even vegan beauty items you let the "veganWALL" know and share with the community. Any post published on the wall will be subject to a vote by the community, the more votes the post gets the higher it climbs on the wall. It is anticipated that the "veganWALL" will be updated numerous times daily so it should be a fantastic one stop shop for all things vegan. What's more it is free! The team have put together a neat little video to explain more about what they are trying to do and you can watch it below. 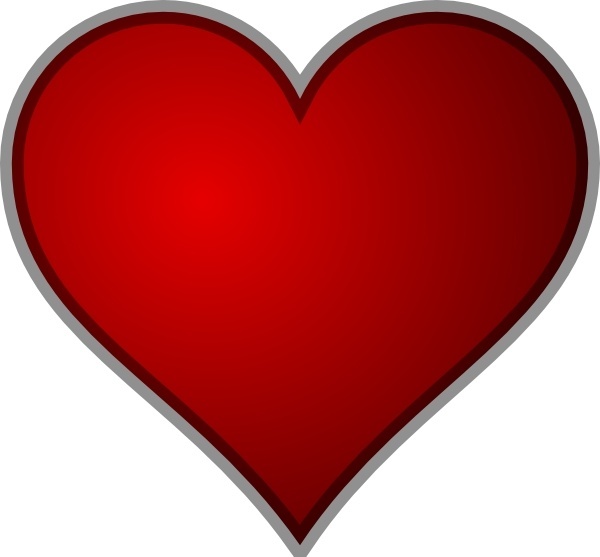 The website will be more than just finding out about vegan food and restaurants catering for vegans it will also be a place where you can meet new people and form a community. The veganWALL is going to be a fantastic place and it has many more features than I have told you about here. If you're interested why don't you visit their blog, which will give you more information about what they are trying to do and how it will all work. They've got some super ideas. I for one can't wait until it's online! Did you see my article in Fresh Vegan, from garden to plate? How can you not want to grow your own? The food you eat will be seasonal, it will have no food miles and you will know exactly what you are eating, without worrying about what nasties have been sprayed on the crop. It’s win, win in my book. In the article I give advice about growing your own, no matter how small your garden or patio is, tips and tricks of keeping your plants healthy and companion planting or other defenses to keep the pests away! Since the article and visiting my blog the people at "Good to be Home" a Home and Gardening Magazine have been in touch. They have kindly given me permission to share their "Vegetable Growing Cheat Sheet", which is great! So if I inspired you to pick up a spade, or buy a few pots and some compost so you can grow your own, why not take a look at the sheet below for further information. If you have room in your garden, perhaps in a border or even better dig up some turf and make yourself a raised bed you can still sow some seeds. If you haven't got a large garden, fear not you can still sow seeds in pots and put on your patio. So, if you thought it was too late to start, think again and get sowing. 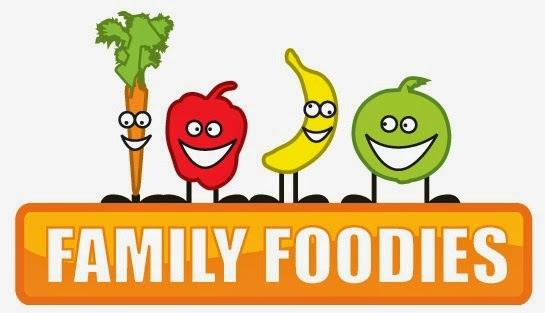 Choose from beetroot, carrots, french beans, lettuce, spinach, raddish, spring onions, swiss chard and turnips! What a selection, you could easily whip up some tasty meals with that lot. 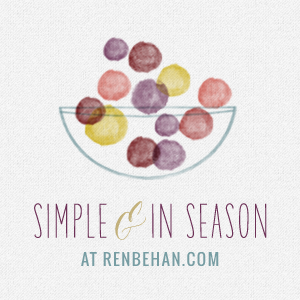 Once your produce is ready to harvest check out my recipe page for inspiration on what to cook. 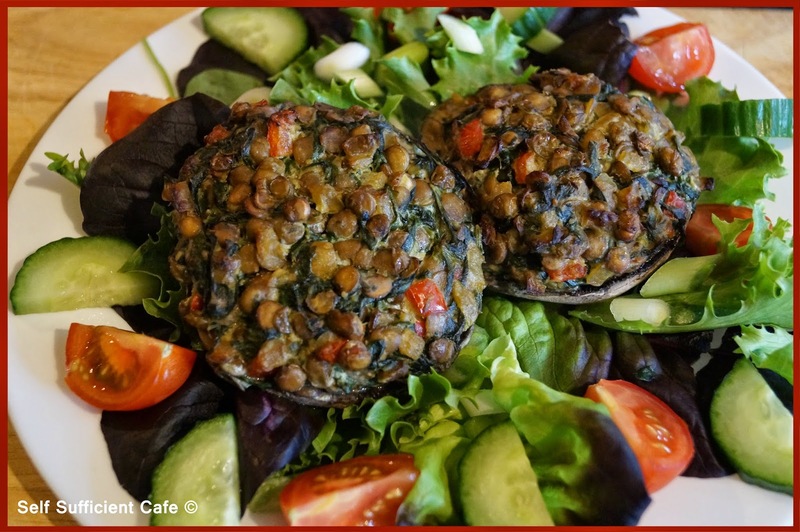 Why not try my spinach and mushroom pie when your spinach is ready to harvest? 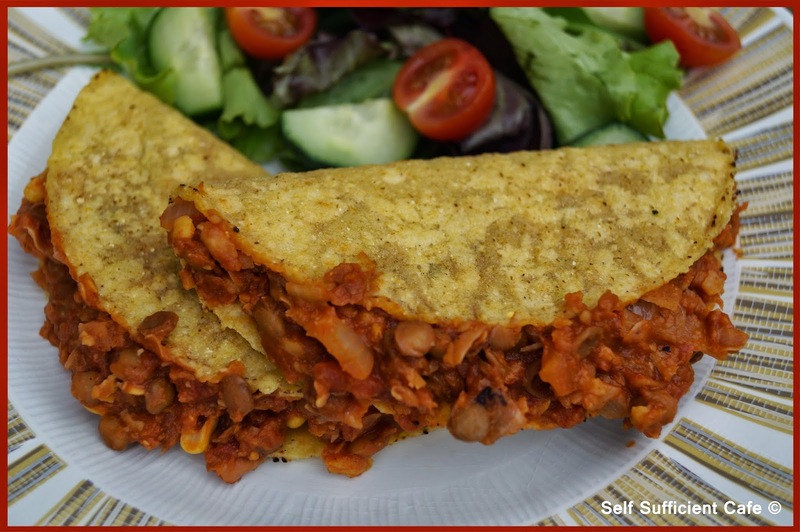 This recipe is very popular and was also featured in the animal friendly cookbook which was put together by Mino Valley Farm Sanctuary. Thanks go to anglianhome.co.uk for letting me share the above infographic. 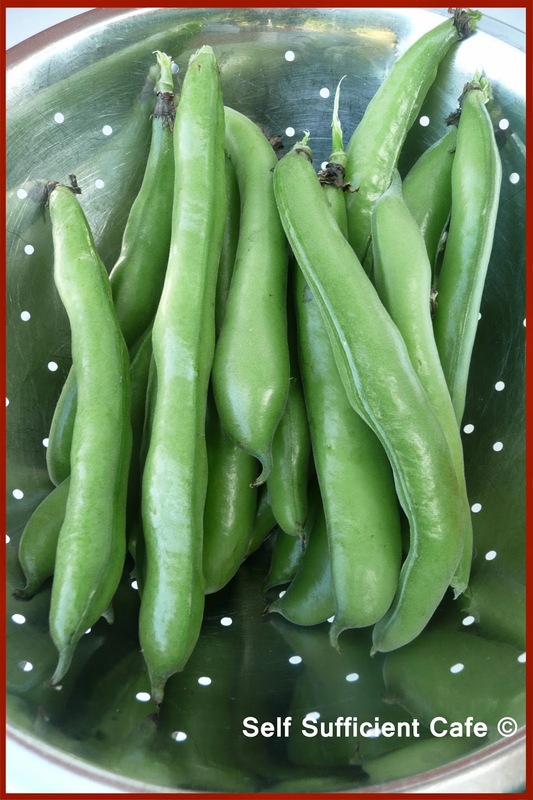 I've been able to pick my first harvest of my broad beans, and it was such a fantastic feeling. All my hard work has finally paid off! I only have 12 plants which are grown in a 60cm x 60cm patch in one of my raised beds. Not a massive amount of room but looking at the bean plants (once I'd harvested this batch) I think I'll manage to get another two harvests at least with the amount of baby beans and flowers on there. Yummy! 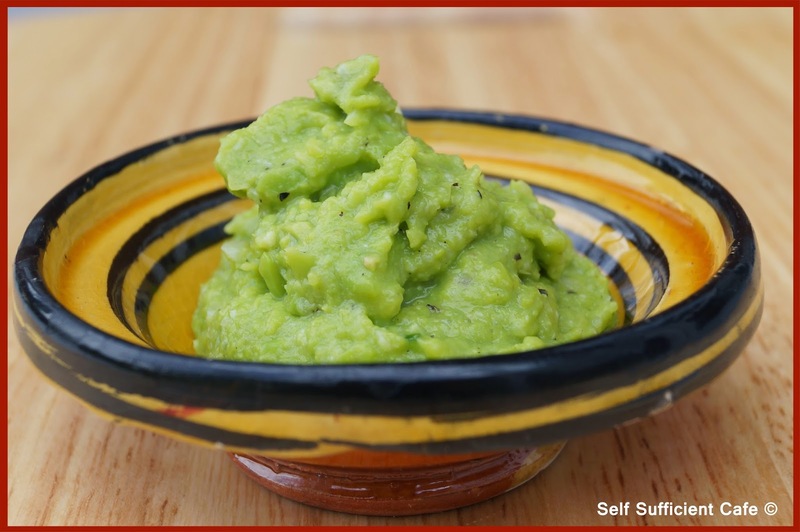 For my first harvest though, as the broad beans are so young and fresh I fancied something light and summary so I opted for a broad bean guacamole. Although it was a close call with my broad bean pate. First boil the broad beans and garlic in water for 4-5 minutes or until you can pierce a knife into the bean easily. Drain and rinse in cold water to stop the cooking process. Remove the outer skin from the broad bean, I always do this no matter how small the bean as I find it bitter in taste. 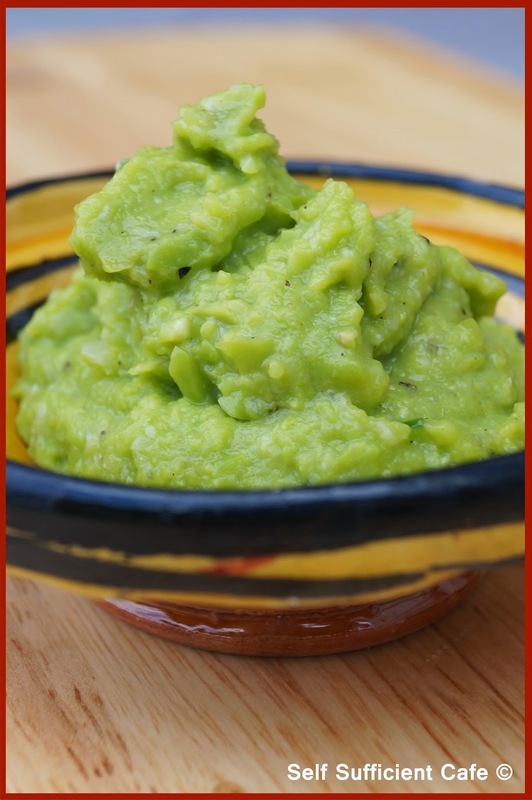 Put the broad beans and garlic into a food processor with the lemon juice and chilli and puree to a smooth paste. Add the Himalayan pink salt and black pepper and pulse to combine the flavours. 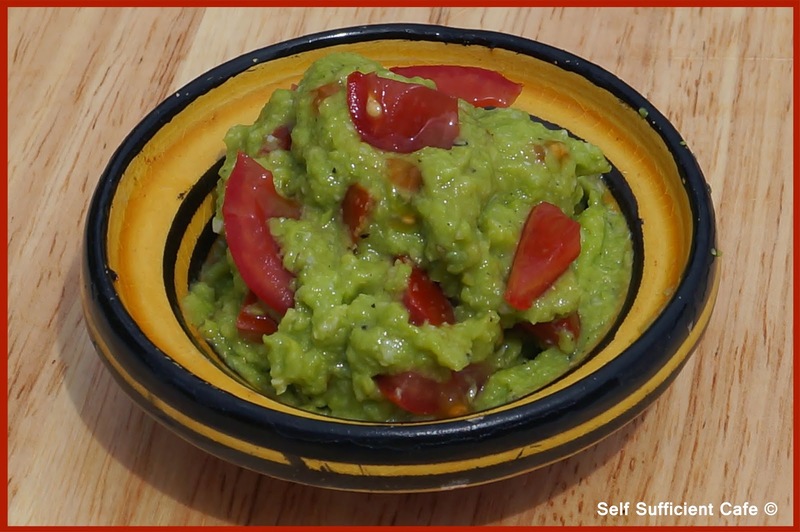 If you're using the tomato add to the broad bean puree and carefully mix in, so as not to break up the tomato pieces. 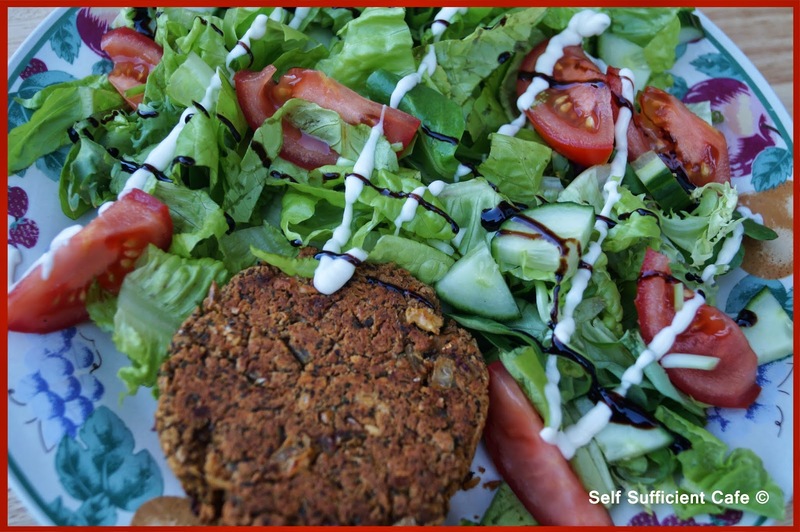 Edit post: Since posting this recipe, Shaheen of the fantastic Allotment 2 Kitchen blog has let me know about two challenges she is currently holding on her blog, one of which is called Eat Your Greens. The idea behind this challenge is really simple, to make something with a green vegetable each month. Once you've posted a recipe you email Shaheen and a round up of all the entries will be posted on her blog before the end of the month. I'm craving lentils recently, big time! 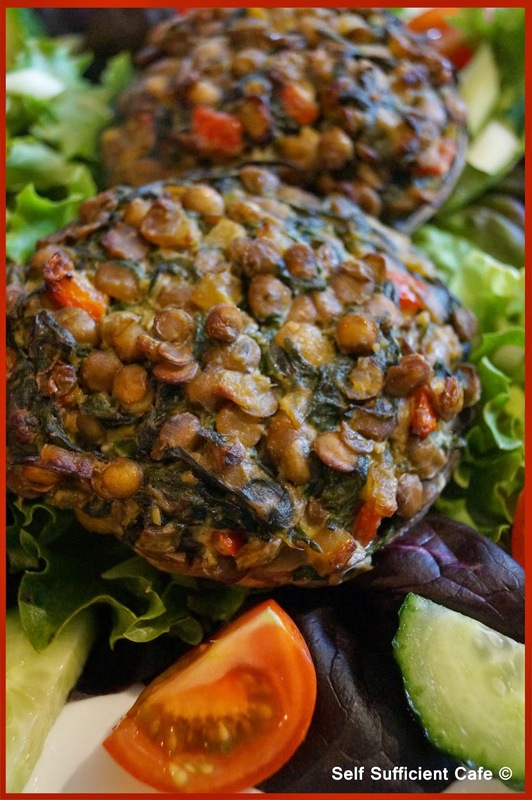 So today is another recipe which uses green lentils. 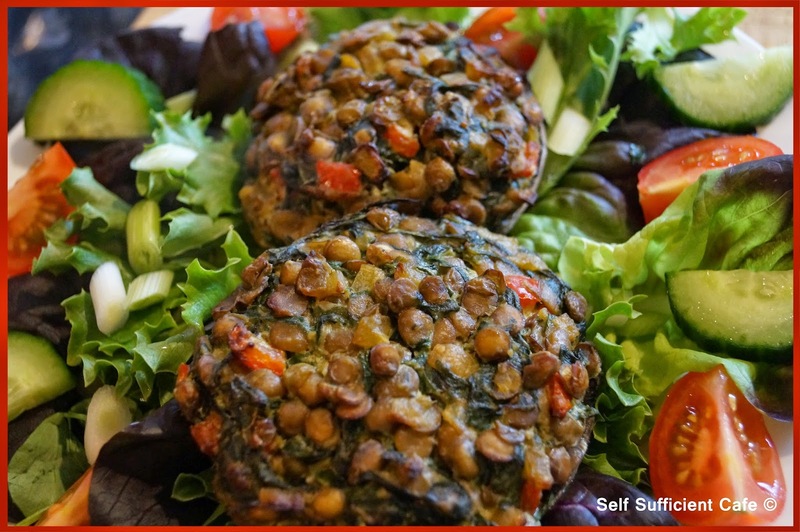 Green lentils don't go mushy when cooked so they give some texture to your food. The dried green lentils only take 20-30 minutes to cook but if you're short on time (like I was) tinned work just fine. Just remember to wash them thoroughly before adding to your recipe. 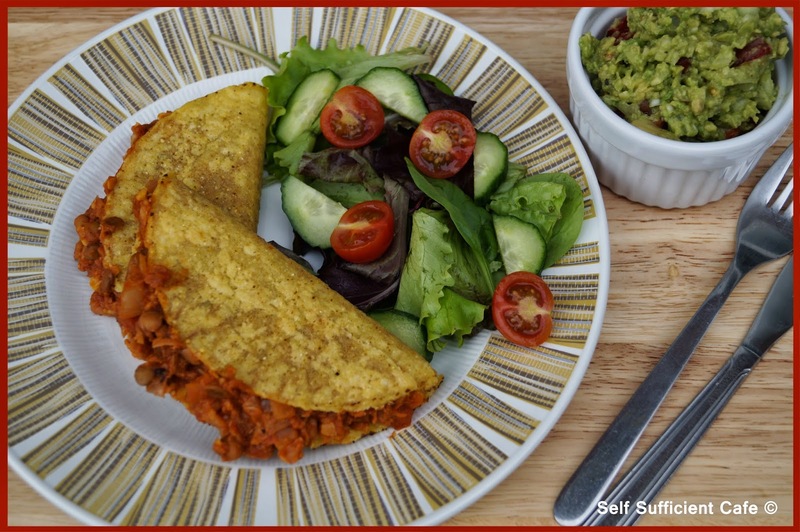 These little legumes certainly pack a mighty nutritional punch! They're tasty too, so its a win win in my book. What's not to like? Saute the onion in the olive oil until translucent and add the red pepper, continue to saute for another 3 minutes. Next add the spinach, and continue sauteing until the spinach wilts. Add the wild garlic pesto, ground coriander and mix thoroughly. Add the vegan soft cheese and stir till it melts and it os coating the vegetables. Add the washed green lentils and nutritional yeast and give everything a good stir to combine all the ingredients. Top each mushroom with the mixture and bake in a moderate oven for 15-20 minutes. As you know already there are some weird and wonderful days to celebrate throughout the year, and today is no exception, its a fabulous day. It's "Independence from Meat Day" and one I think we should all celebrate! I'm loving Mexican style cooking at the moment, if you haven't guessed already. Today was my first day off work for a 10 day break - Yay! So I had something double to celebrate. So Mexican style cooking it was. I was feeling a little tired after a mad few weeks at work and believe it or not I haven't even been in the garden today, other than to pick a few lettuce leaves, so this recipe uses store cupboard ingredients for this meal. Saute the onion in the olive oil until translucent, about 3 minutes, then add the garlic and saute for another minute. Meanwhile drain and rinse the chickpeas and tip into a bowl. Using a potato masher squash the chick peas, you don't want a smooth paste you want some texture. Add the chilli powder, dried cumin, smoked paprika and porcini powder and mash once more so that ll the spices are combined with the chickpeas. Add the chickpea mixture to the pan and pour over the tin of chopped tomatoes, give everything a good stir. Add the lentils and give everything another stir. Slowly bring to a simmer and add the balsamic vinegar and tomato paste and simmer for 5 minutes. Add salt & pepper to taste. Heat the Taco shells in the oven for 3 minutes and spoon the taco mixture into the shells. 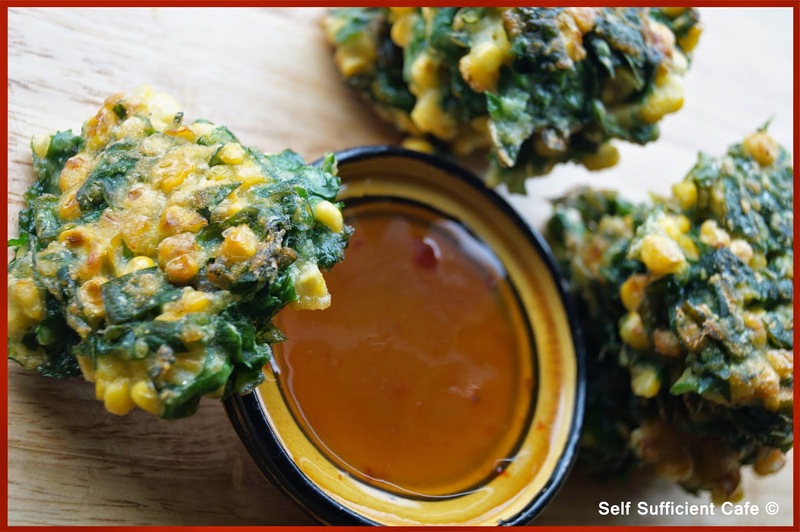 Serve with homemade guacamole and a little drizzle of vegan mayonnaise. Devour! Another month is on us already! I'm positive each month goes by more quickly. This months menu is full of summer flavours and hopefully my garden produce! My courgettes are all in flower and baby courgettes are starting to grow, I'm run over with broad beans (yum) and my spinach has gone berserk! Once again July is full of weird and wonderful celebrations and most of the recipes I post will have a healthy angle as I've started my get fit regime. 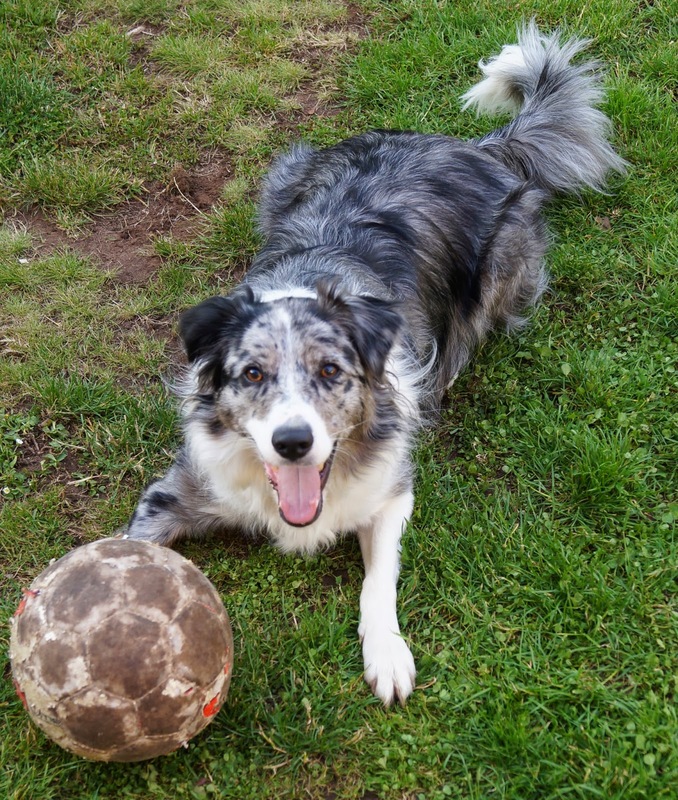 Don't get me wrong I'm not unfit as I have Marco a very energetic border collie who I love to pieces, and he loves his walks. 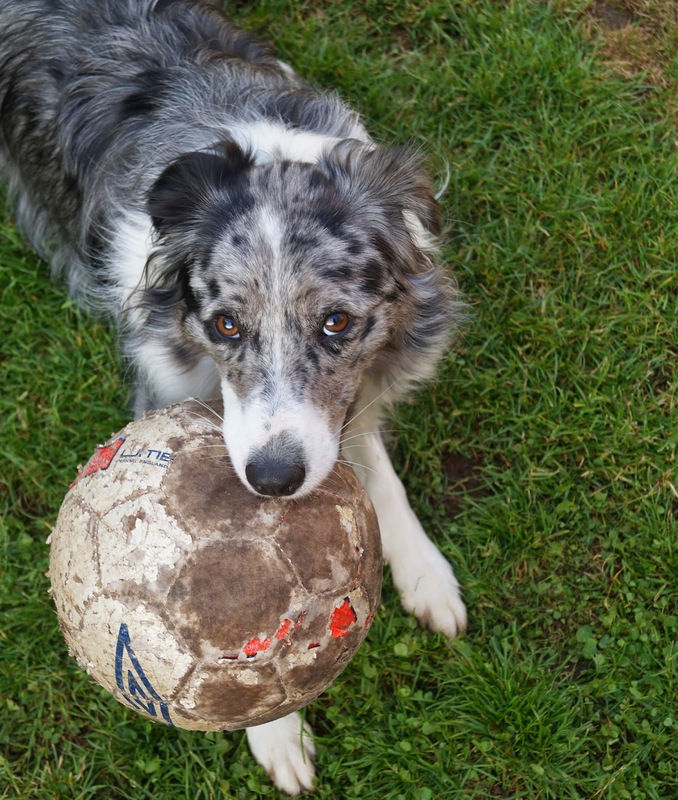 He also loves football and as soon as I get home from work he's ready for a quick game. He would make an excellent goalie. After a quick kick about I've been changing into my running gear and off we go running, which he loves. There's a knack to running with a dog and at first he was always getting under my feet but he's learning to run next to me rather than in front of me now! I've not been going far (slowly slowly catchy monkey) nor every day as I want to keep it up. I try and go out every other day and build up the distance slowly, so as not to be put off. It's working so far, OK it's only been a week but I seem to be enjoying it, which seems weird should I be? Even better Marco is loving it and he's actually getting tired and wanting to go to bed earlier, which is so cute. Last night he kept nudging me as he wanted to go to bed!